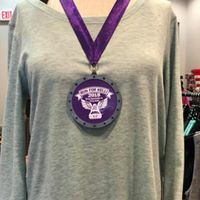 This year for the first time, we rewarded all the runners that finished the 5k, with a beautiful medal. The kids that ran the race were particularly excited receiving a medal as they crossed the finish line. Link back to the first page of RFK18, in case you missed something!